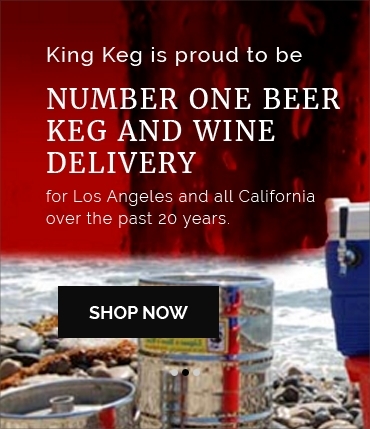 At King Keg, we've been offering fast, affordable, and reliable alcohol delivery and kegerator service to the greater Los Angeles area for decades. We understand that nothing gets a party going quite like a hand-delivered keg or kegerator, and whether you're looking for beer kegs, wine kegs, or non-alcoholic kegs of kombucha, coffee, or tea, we're here to bring any occasion to life with comprehensive kegerator service. Even better, we don't just drop off a keg and leave you to fend for yourself: we offer comprehensive keg party rental packages that give you everything you need to provide a keg for any event, and our technicians will even help you set up your keg so everything runs smoothly. Take a look at our party keg rentals and order a keg for your next even in Hawthorne, Redondo Beach, the South Bay, or anywhere else in Los Angeles!